 ðSleep sounds & Meditation music help you relax, find inner peace and calmness. 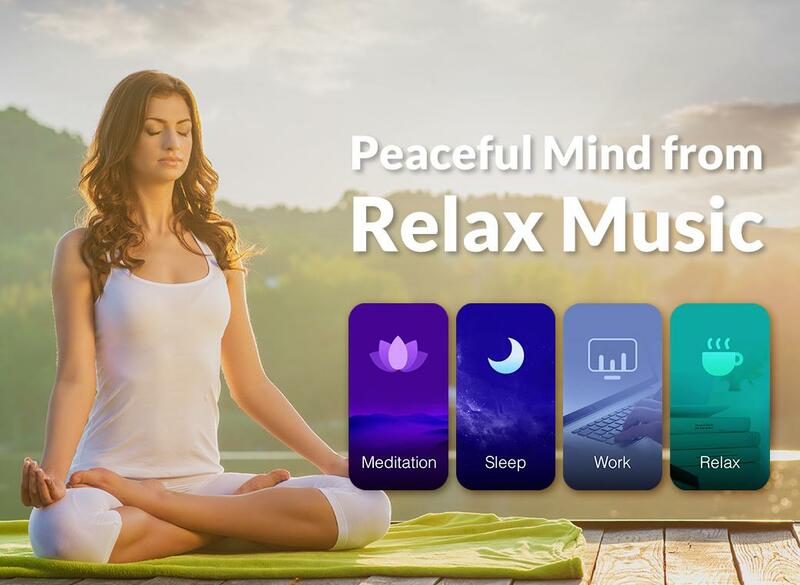 Relax Music is a free sleep music app which could help you take a relax, it’s not only a sleep App which offer you soothing sleep sounds or music to sleep, also provides white noise, nature tune, meditate music, you can experience different music by choosing a scene. (Including but not limited to night, work, bedtime, nap, stress-relieve, morning wake up…) Relax Music brings vivid sleeping sounds & high-quality mediation sounds that can be customized and mixed into the perfect relaxing soft music for you own style, get relaxation as well as find inner peace and calmness. ★ High quality soothing sounds There are many free relaxing sounds including: Nature sounds (forest, ocean, wind, birds, fire-crackling) Meditation Music Anti-Stress Music… More sounds waiting for you to explore. ★ Better uninterrupted your deep sleep and relax: The feature of auto-turn-off, ensure your sleep is not disturbed but rather enjoyed. 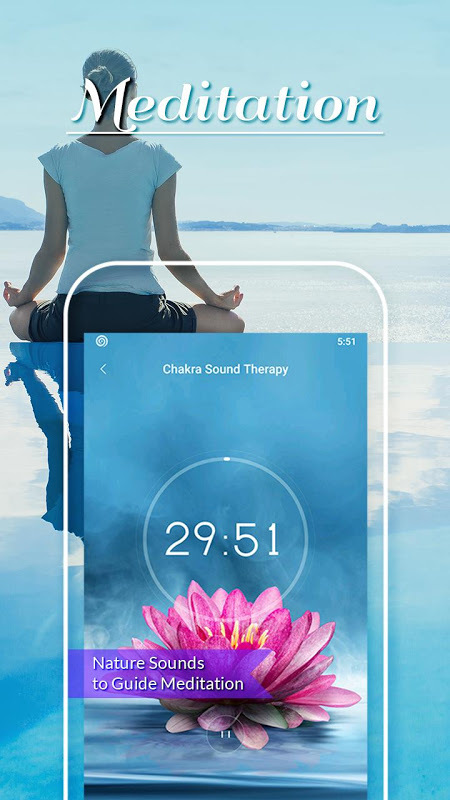 ★ Help against snoring sounds The gentle music and calming songs could help you block the ambient sounds, give you peace and quiet. ★ Smart, simple and beautiful design Stylish and beauty background images supported, the different types sound has different interfaces, so you can immerse in it and enjoy relaxation better. 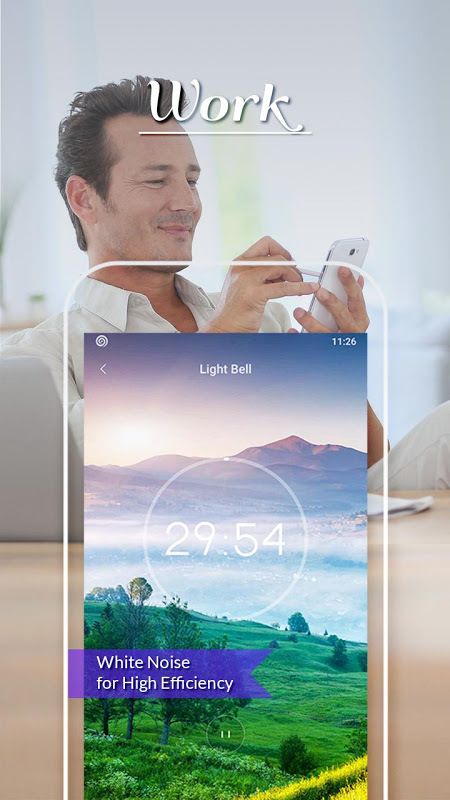 ★ Smart timer and app turns off automatically Auto turn off your music, no worries about interrupted your deep sleep. Simple, on-the-go, and no paid or locked module. This is all free as you can get. Enjoy this high-quality sleep sounds and wake up refreshed. Relax Music, for easy sleeping and relaxing to live a quiet life.  Is Relax Music - Meditation& Sleep Music, White Noise yours? Claim it!